The last AC company could not fix my problem - and probably made matters worse. I'm glad I called Sean McCutcheon's - they have everything back to normal. I would definitely recommend them to anyone - residential or commercial - they are the best! I have used Sean McCutcheon's service several times and give them the highest rating in every category. They are responsive, communicative, fair, reasonably priced and friendly. Great company overall. The technicians at Sean McCutcheon's Air Conditioning are the best. After 2 other AC companies failed to fix my system I finally called them, and the next day everything was working perfectly. A friend recommended your service and I want you to know how pleased my sister and I are with your work. The young man, David, who did the work was most expert, courteous, and helpful. We will be calling for A/C in the fall. There are a lot of questionable air conditioning companies out there its hard to know who you can trust. In the past I have fallen prey to AC guys who were just trying to scam me out of my money. Sean McCutcheon's came highly recommended and I'm glad I called them. Very pleasant experience start to finish. My new ac system is working great and looks fantastic. This company deserves a 6th star! These guys are the best. Ive been so tied of companies that are constantly just trying to see how much money they can get me to spend. The technicians at Sean McCutcheon's Air Conditioning and Heating are down to earth and have common sense. Truly a professional. Mr McCutcheon has a staff of perfectionist technicians with uncanny eyes for detail. Top notch work and efficient, clean and respectful. I found my ac company and I will stick with them. Thank you Sean and thank you to your staff. Thank you for going the extra mile to make things right! Please tell the guys on your crew how much we appreciate their work. Sean McCutcheons AC is one top notch outfit. The work they do is superior, and they are a pleasure to do business with. I would highly recommend them! You will not find better customer service ANYWHERE! Honest, friendly and they help you understand your options. I will recommend this company to anyone. Thank you for all your great customer service and quality work that you have done for me. I would like to take this opportunity to thank you, your associates and your company for doing an outstanding job fixing and adjusting my air conditioning at my house. Your crew was helpful, efficient and did a great job. I have no complaints at all, in fact I will recommend Sean McCutcheon's to my friends and co workers. Stephen was my technician both times. He is extremely courteous, and despite being called out on "off hours", he was friendly and took his time making sure the job was done right. Too often we people call in with complaints. I wanted to let you and the powers that be know that Lindsey was really great. She went over things with me that no one has EVER gone over with me. I really like that she didn't try to sell me anything I didn't need. I've been a customer of yours for the past few years and have fallen in love with your company in recent weeks due to the performace of your service tech Stephen. He's blown me away with his professionalism and knowledge in recent visits to my house. Sean's team looked at our unit after we were told we had no choice but to replace the unit. The technician offered a new unit at about 1/2 of the other companies, but also suggested several options to maintain the existing unit saving us thousands of dollars. A mis-diagnosis by another company almost cost me $1,550.00. Thank-you for the free second opinion. Stephen was so patient and understanding of our situation. Your company has earned our business no question. Thank-you 1,300 times. I would not change a thing. Your service techs have been professional and efficient. Your Salesperson was a straight shooter. I would highly recommend your company to anyone. We've been customers of Sean McCutcheon's AC since he first started the business. We have always had the most professional service from each of their technicians each time they have come to our home. We have referred them to our friends and they have had the same professional service. We will continue to refer anyone who asks to Sean McCutcheon AC. It was a Friday night - AC went out. Called in for service and the on call lady was super nice on the phone. Tech called back within. 10 mins and was at the house about 40 mins later. He was fast and friendly. A very family feel from the staff. Would recomme nd sean and his crew to anyone! Woke up yesterday and the house was hot. Terrible feeling in June is Florida. Called McCutcheon's just as we always do. The tech (David) was very friendly and had us back up and running inside of a hour. They do the job right, and don't overcharge. All you could ask for and more. Thanks guys! My Bryant Evolution system shut down last nite about 7:30 pm. I called for service and Steve called me and was there in 20 minutes. He knew just what the problem was and fixed it in a very short time. Very impressive job. They are the people to use for any AC problem. They arrive very quickly and do a great job. They also cleaned up after themselves. I would recommend this business to anyone. They came out and fixed my AC problem in record time. Simply....THE BEST. Professional, experienced, thorough, neat, clean and cost effective. Highly recommend to all!!! 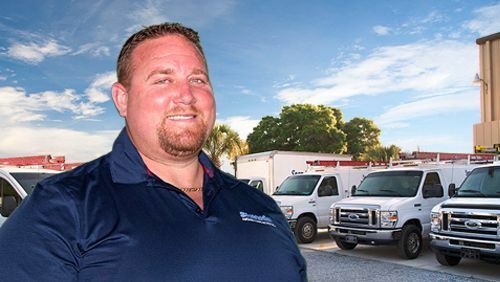 Sean McCutcheon's Air Conditioning and Heating is Sarasota County’s premier AC repair and installation company that puts trust, honesty and comfort into every customer relationship. From your first call to a successful job completion, we won’t stop our pursuit of excellence until you have total peace of mind. Guaranteed. 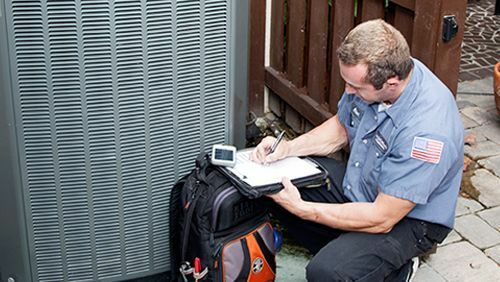 While most companies try to be a jack of all trades, we would prefer to be the "expert of one" - our specialty is air conditioning and we focus on only one thing: Raising the bar for customer satisfaction and setting the standard for all other air conditioning and heating contractors to follow. 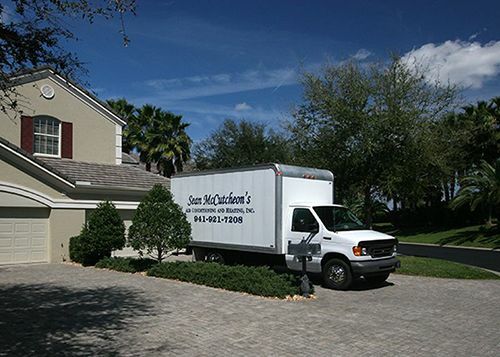 Sean McCutcheon's Air Conditioning and Heating, Inc.: Your premier source for residential and commercial AC installation, repair and maintenance throughout Sarasota and Manatee counties. Why Choose Sean McCutcheon’s Air Conditioning and Heating, Inc.? We focus on only one thing and we excel at it, that's why we don't offer plumbing, electrical, or other services – only air conditioning! 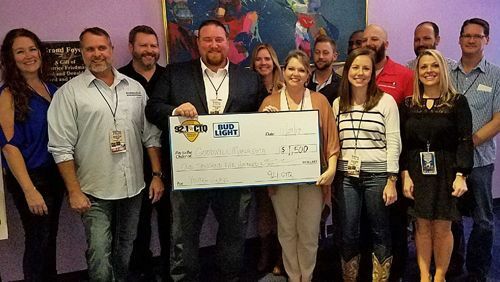 The highly trained technicians at Sean McCutcheon's Air Conditioning and Heating, Inc. are Bryant Factory Authorized, NATE Certified and they stay up to date with the newest AC products and technologies to better serve our customers. We pride ourselves in offering extraordinary quality and exceptional attention to detail on every job we perform. 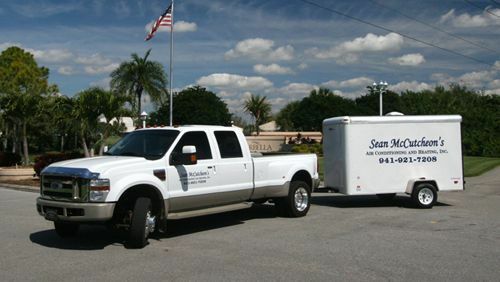 Sean McCutcheon's Air Conditioning and Heating, Inc. offers emergency service 7 days a week. 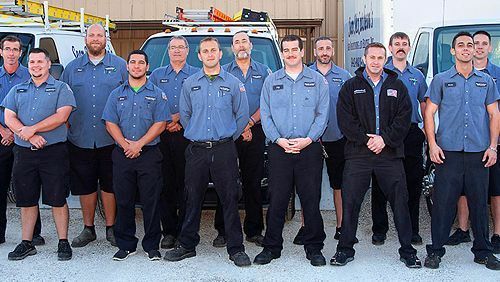 Our highly trained technicians and every member of the Sean McCutcheon's Air Conditioning and Heating team abides by a simple, yet powerful message - "If we wouldn't recommend it to our own mothers, we would not recommend it to you!"